Jeff Tracta aka THE SINGING TRUMP from America’s Got Talent is the most sought-after CELEBRITY IMPRESSIONIST in the world today. With an array of over 100 spot-on impressions, Jeff pays tribute to over fifty years of music, comedy, and pop culture. From the most current music artists -- Bruno Mars, Pharrell Williams, The Black Eyed Peas, Eminem, and Lady Gaga -- to legendary icons such as Bob Dylan, Billy Joel, and Elton John -- and COMEDY tributes including Adam Sandler, George Lopez, Joan Rivers, Ray Romano, Chris Rock, Jeff Foxworthy, and the entire cast of Family Guy -- Jeff’s show has something for everyone. Tracta first earned international fame starring for eight years as “Thorne Forrester” on the hit daytime drama The Bold & the Beautiful on CBS. He made his Broadway debut starring as Danny Zuko in Tommy Tune’s revival of Grease at the Eugene O’Neill Theater. Jeff has performed at hundreds of Fortune 500 company events around the world. 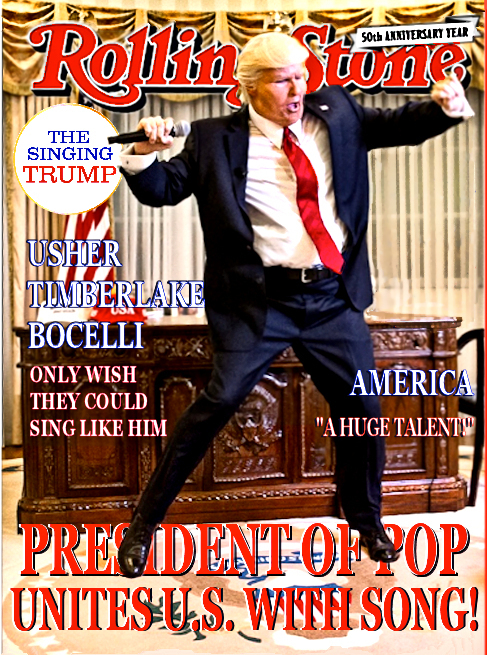 With over 50 million views on the internet Jeff Tracta / THE SINGING TRUMP has become a worldwide sensation.